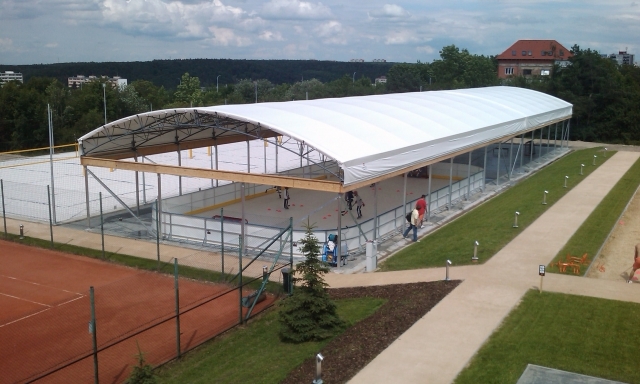 We produce and supply halls for all kinds of sports – especially tennis halls, ice rinks roofing and also kart halls. 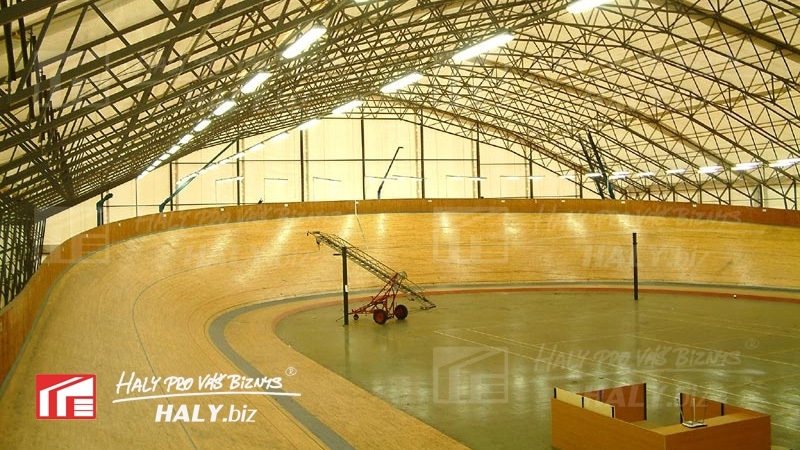 They are a successful competitor to traditional sports halls because of their features and price. 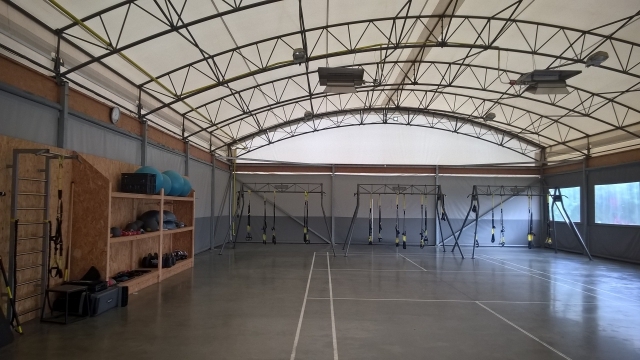 Our sports halls are designed for easy and quick construction. In comparison with inflatable halls they are without running costs. Excellent light transmission perfectly lights the area and protects from being dazzled. The coating can also be fitted with insulation. Removable gable and side walls increase the comfort of using a sport halls in summer. We ensure complete permission documenatation or building notification. Very often stress is laid on sports halls from the aesthetic point of view. For example because of surrounding buildings or specific features of the operation. We can adjust the exterior and interior look to suit. 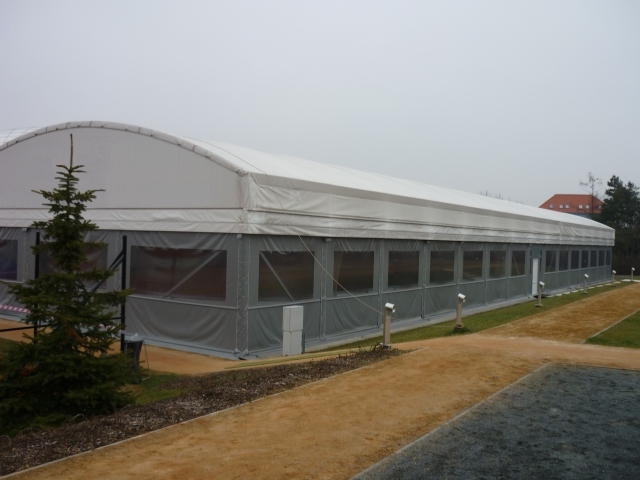 We also rent sports halls and sports area roofings for seasonal use. 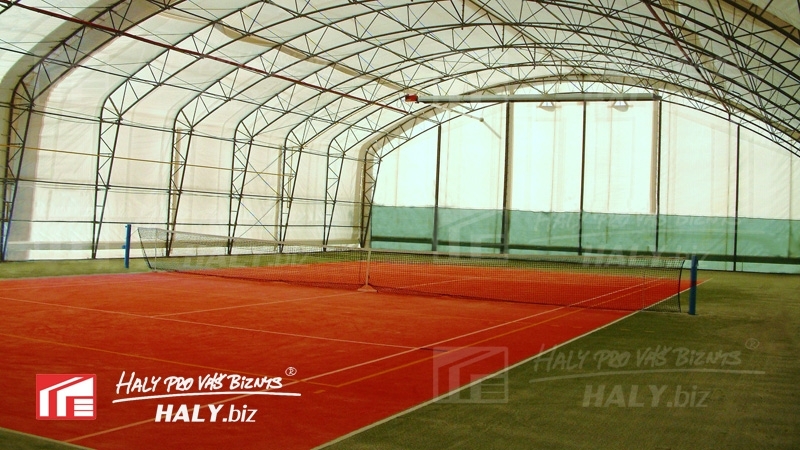 If you are interested in sports halls, do not hesitate and contact us!